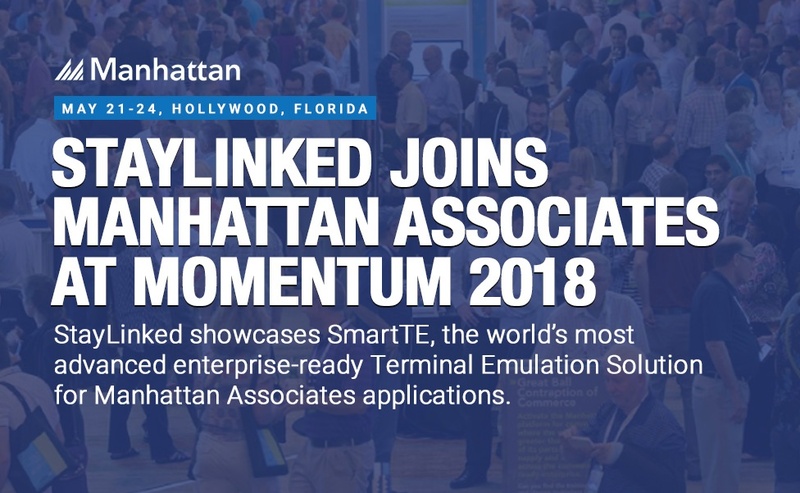 StayLinked will be on hand at Manhattan's Momentum 2018 in Hollywood, Florida, May 21-24, to showcase the latest advancements in Terminal Emulation for Manhattan Associates applications. StayLinked SmartTE is fueling the massive migration from Windows-based devices to touchscreen Android mobile devices in the supply chain. The latest release, v14.4, introduces innovative features which further cements SmartTE as the premier TE Modernization solution for the industry.